UPDATE, Jan 14, 2019: This even now includes numerous AWESOME raffle prizes, including 2 full-day guided trips and lots of cool fishing gear. You get one raffle ticket with admission and you can buy more at the event. 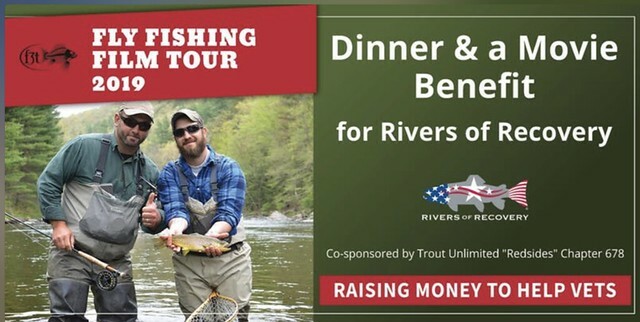 Join us for dinner and the screening of the 2019 Fly Fishing Film Tour to support Rivers of Recovery, a national nonprofit that provides medically proven recreational therapy to combat veterans recovering from the physical and mental wounds of war. 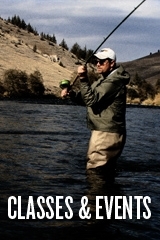 We’ll be serving local craft beer and a hot dinner on this cold February night, while screening the critically acclaimed 2019 Fly Fishing Film Tour (think Warren Miller ski film, but with fly rods). 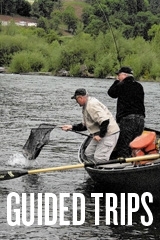 We’ll also be raffling off guided fishing trips, outdoor equipment, and numerous other valuable prizes. 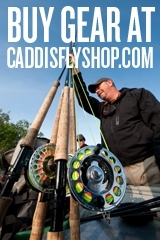 You’ll have the opportunity to learn how Rivers of Recovery is changing lives through fly fishing, and to meet some of our program participants, true American heros.